The former 'The View' co-host has confirmed she and the policewoman - who went public with their relationship in November 2017 - are to marry, but admitted they will wed "a long time in the future". She told PEOPLE: "This is a long time in the future. We both decided that that would be best." The 56-year-old comedian and Elizabeth, 33, have a 23-year age gap, which leads to some fans mistaking the Army veteran for Rosie's 20-year-old daughter Chelsea when they are out and about. She added: "A lot of people say, 'Oh my god, Chelsea looks so great.' I'm like, 'That's not Chelsea.' That's my soon-to-be spouse. "It's a little tricky. In the airport people say, 'Rosie, can I have a picture of you and your daughter?' She doesn't seem to think it's an issue at all. Nobody ever does, but I do sometimes." 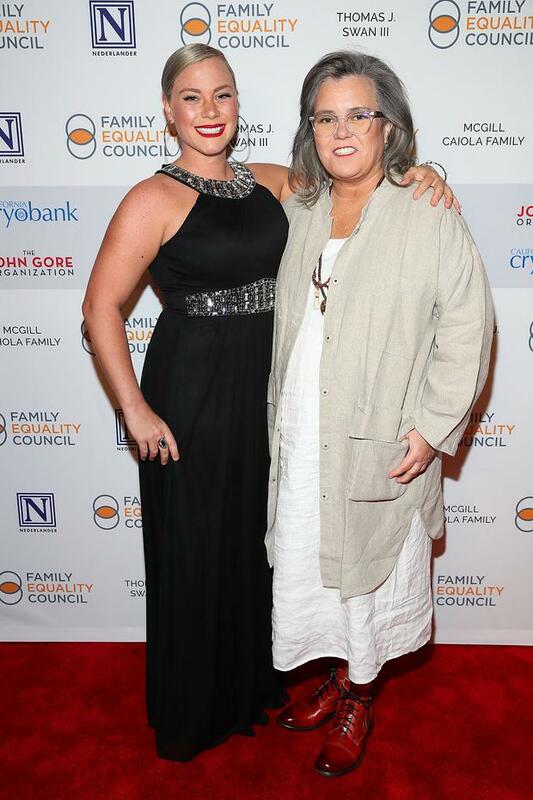 Rosie described Elizabeth as a "wonderful woman" and admits she "doesn't care" about the couple's age gap. She said: "I keep telling her I'm too old for her. But she doesn't seem to care. "She lives in Boston now and I live here in New York. It's been a long-distance thing. It's been great. I think she's a wonderful woman. "She's very much an equal, she's very much her own person and loves what she does. She's a pretty unbelievable young woman." Rosie was previously married to Michelle Rounds from 2012 to 2015, but she took her own life in September 2017 aged 46. 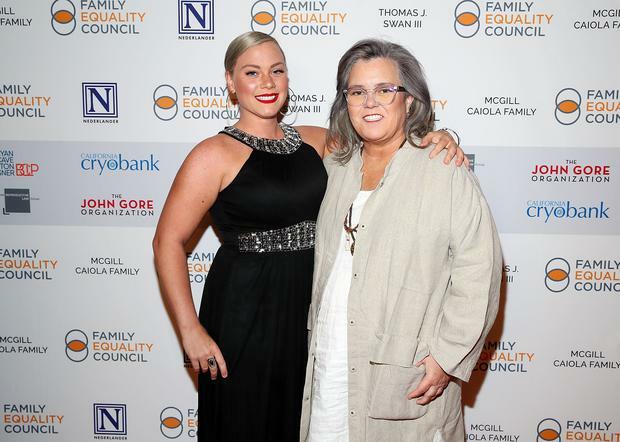 The former couple have five-year-old daughter Dakota, and Rosie also has four other kids, Parker, 23, Chelsea, 21, Blake, 18, and Vivienne, 15, with her ex-wife Kelli Carpenter-O'Donnell, who she was married to from 2004 to 2007. Rosie has been estranged from Chelsea, but admitted in September she is rebuilding their relationship. She said: "I think with my relationship with my daughter, Chelsea, it really has [been tested] because we went through some really public troubled times and, you know, she's doing better now and we're both communicating with each other. "But when somebody does something unforgivable to you and you can forgive them and they can forgive you, there's a kind of grace that descends upon the both of you, within that."